It’s the only way to contain the fey curse that scars her cheek. The Great War is five years gone, but its scattered victims remain—the ironskin. 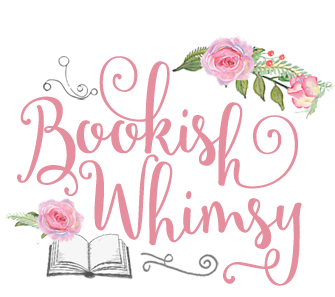 When a carefully worded listing appears for a governess to assist with a "delicate situation"—a child born during the Great War—Jane is certain the child is fey-cursed, and that she can help. Teaching the unruly Dorie to suppress her curse is hard enough; she certainly didn’t expect to fall for the girl’s father, the enigmatic artist Edward Rochart. But her blossoming crush is stifled by her own scars, and by his parade of women. Ugly women, who enter his closed studio...and come out as beautiful as the fey. Jane knows Rochart cannot love her, just as she knows that she must wear iron for the rest of her life. But what if neither of these things is true? Step by step Jane unlocks the secrets of her new life—and discovers just how far she will go to become whole again. This one sounded very promising, and I love how the names of the main characters are very close to the original. I love the cover as well - it's so ethereal and lovely, so I was looking forward to a story that seemed romantic and Gothic. What a beautifully layered story! For what seemed like a Jane Eyre retelling with supernatural elements, I was expecting something more straightforward and recognizably similar to the plot structure of Jane Eyre, but this novel was full of the unexpected! It does not directly follow the arc of Jane Eyre, but infuses the spirit and romance of the original novel into a new story. I found the relationship between Jane and her pupil, Dorie, unexpectedly complex, as Jane struggles to get through to her and in the end through Dorie, Jane comes to realize something very important about herself. The author also sets up a strong history in the narrative, with the Great War, and the influence of the ultimately treacherous fey adding to an intricate fictional/ alternate reality where humans are still struggling to recover from the effects of war and the loss of the fey-technology. The details of this history and Jane Eliot’s involvement is slowly meted out however, so there is a feeling of tension as you try to catch up on what everything means. What I liked best about this story is how the author weaved in many elements - fantasy romance with touches of steampunk, and nods to Beauty and the Beast as well as elements of Jane Eyre - to create a heavily atmospheric, dark tale of love and beauty and secrets. The nature of the secrets are very unpredictable, just like Edward Rochart, the mysterious widower artist, who sees Jane Eliot not as fey cursed, but as a brave, strong woman. And yet Jane struggles to cope with her past, and her curse, and to find the self-respect she needs to accept love, making this novel a gloriously touching romance between two damaged people. Although I could have used a little more development between Jane and Edward’s relationship, and there are still some unanswered questions as to the nature of the fey (but this is the first book in a series), I loved this intricate, intelligent, Gothic tale and I highly recommend it to fantasy and Jane Eyre fans! Ironskin is available to buy today! And an excerpt of the first chapter is up on Amazon. I love Jane Eyre! This sounds like such a cool way to do a retelling -- throw in a paranormal edge to the story line. And I like the idea of Jane being scarred by her past instead of strictly ugly/plain. Neat idea! I'll have to see if I can find a copy. Ooh another Jane Eyre fan! You have great taste! 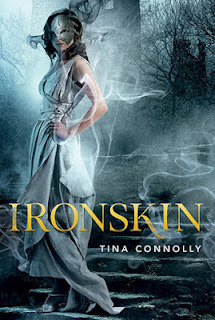 :) I read Ironskin described as a Beauty and the Beast story reversed, which I hadn't thought of but I like the idea of. I hope you enjoy the novel when you get a chance to read it! Thanks for commenting! I really wanted this to be good! I am glad it was! Definitely going up my list! The concept of this story sounds fantastic. I love it when retellings are not simply rehashing the original plot, but add new twists and layers to the story. It really does all of that- it's very much its own story. Thank you and thanks for commenting! Review: The Violet Fox + Giveaway! Review: Phantom + a Giveaway! Review: The Casual Vacancy + a Giveaway!